White birchwood depressors are odorless and tasteless. 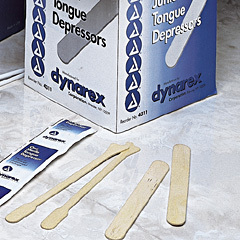 In addition to oral use, depressors are used to spread ointments and to mix medications. May also be used in a laboratory enviroment for transferring thick resins and other compounds. Ask for volume discounts on 10 and 20 boxes.